SEOUL, Oct. 11 (Yonhap) -- On a sweltering day in July 1985, South and North Korean lawmakers gathered together in the border truce village of Panmunjom to prepare for what would have been the first-ever parliamentary talks between the two Koreas. "Today's meeting is the first political gathering between the two Koreas. 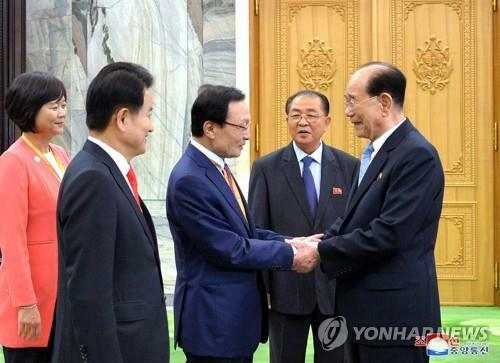 I hope that the meeting will bear fruit," said Kwon Jung-dal, who led the South's delegation. A North Korean delegate said that even in the hot summer, the truce village was surrounded by coldness, calling on efforts by politicians to "melt it away together." A South Korean participant expressed his aspiration for unity, saying, "If the Koreas could establish a unified parliament, it would be good even if I become a janitor, not a lawmaker." What appeared to be a brisk start to political exchanges broke apart, however, when the North sought to link the proposed parliamentary meeting to a political agenda that the South could not accept. Now, South Korea's National Assembly is again eyeing its first-ever parliamentary meeting with its North Korean counterpart, the Supreme People's Assembly (SPA), in the latest in a series of reconciliatory moves that started early this year. National Assembly Speaker Moon Hee-sang has proposed holding an inter-Korean parliamentary gathering by the end of the year. Choe Thae-bok, the chairman of the SPA, recently expressed cautious support. 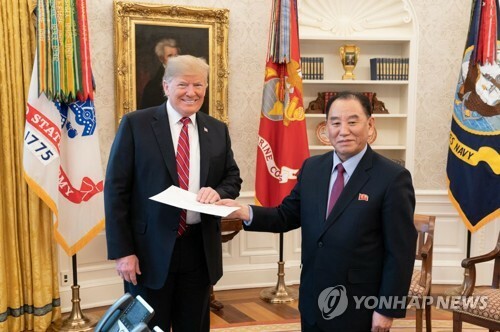 "The role of the Koreas' parliaments and political parties is very important in implementing the April and September inter-Korean summit agreements," Choe said in a reply. "In this regard, we agreed to the offer in principle." Parliamentary exchanges have been sparse, even when the Koreas' relations thawed and non-political exchanges increased. 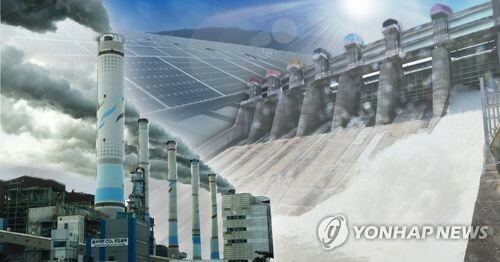 "The North Korean nuclear issue and inter-Korean confrontation hindered their political exchanges," said Kim Yong-hyun, a professor at Dongguk University. "If held, a proposed parliamentary meeting would help quicken the institutionalization of inter-Korean relations," he added. The National Assembly was established in May 1948 and is elected every four years. The SPA, constitutionally the highest organ of state power, in reality merely rubber-stamps decisions of the ruling Workers' Party of Korea. 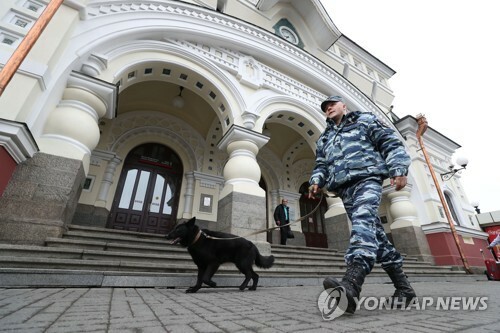 Deputies are summoned nationwide once or twice a year for plenary sessions. 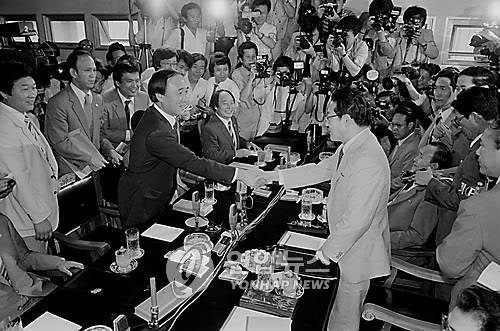 In the 1980s and early 1990s, the Koreas held two rounds of preliminary meetings and 10 rounds of preparatory talks for a parliamentary gathering. But such efforts ended in failure when the North attempted to politicize the proposed meetings. In April 1985, Yang Hyong-sop, the then-chief of the SPA, proposed the parliamentarians discuss a joint non-aggression declaration between the two countries. The South accepted the meeting offer, but wanted to discuss ways to establish a consultative body to draw up a Constitution for a unified Korea. Seoul said that the non-aggression declaration should be discussed at the government level, not at the assembly level. The Koreas failed to hold a third phase of preliminary contacts as North Korea suspended all dialogue with the South in January 1986 because of the Team Spirit joint military exercise between Seoul and Washington. In 1988, both sides resumed talks to discuss North Korea's potential participation in the 1988 Seoul Summer Olympics. 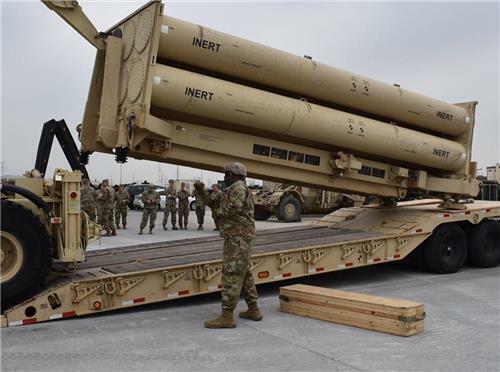 But the North again took issue with the Seoul-Washington military drill, scuttling efforts to hold a parliamentary meeting. 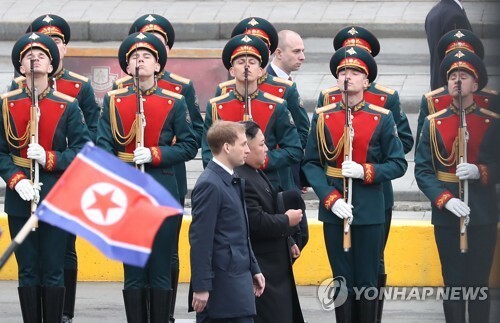 "North Korea was passive toward a parliamentary meeting, apparently on concerns that political exchanges could infuse democracy into the North," said Cheong Seong-chang, a vice president at the Seong Institute. "Exchanges at the political party level might be possible, but I see slim possibility of a parliamentary meeting being realized," he said. Details including the date or agenda items have yet to be set, but some experts and liberal lawmakers remain optimistic, hoping that this time will be different. 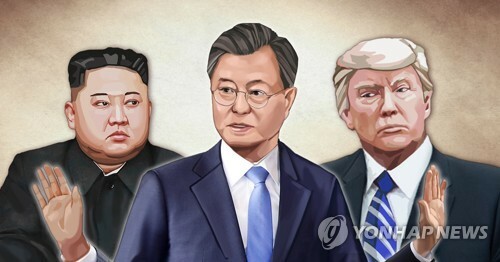 Chung Dong-young, the chief of the minor opposition Party for Democracy and Peace, said that North Korean leader Kim Jong-un is known to have responded positively to President Moon Jae-in's proposal for a parliamentary meeting during their September summit in Pyongyang. "It would be good if the meeting is held in Pyongyang and attended by 200 statesmen. 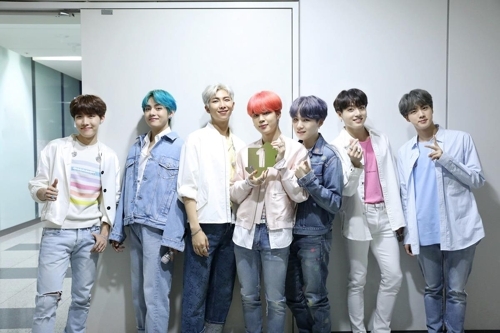 It would be also nice if a second meeting could be held in Seoul in the first half of next year," Chung told reporters last month after his trip to North Korea. But even if the Koreas could reach an agreement on the details of a proposed meeting, its success will likely hinge on the participation of the main opposition Liberty Korea Party (LKP), experts said. 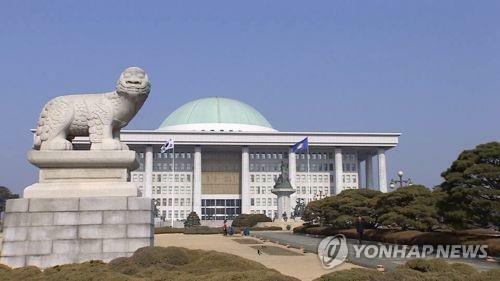 Rival parties have not even started deliberations on the government's proposal to secure parliamentary ratification for the April inter-Korean summit agreement. The LKP has called for meaningful progress on North Korea's denuclearization before the summit deal can be ratified. "The parliamentary meeting, if held, will have symbolic meaning. 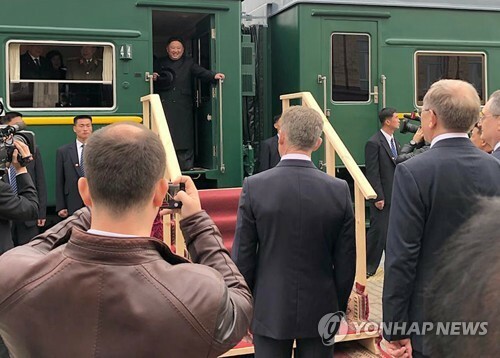 By their nature, agenda items may be limited, such as ways to find legislative support for major inter-Korean agreements," said Yang Moo-jin, a professor at the University of North Korean Studies. "But the proposed gathering will be incomplete if the LKP does not join it," he added.